Place frozen pizza dough in a greased bowl covered with plastic wrap. Let it sit on your kitchen counter for a few hours, until it has risen. Simmer EVOO, stewed tomatoes, garlic, salt, pepper, oregano, and crushed red peppers on low-heat for at least 20 minutes. 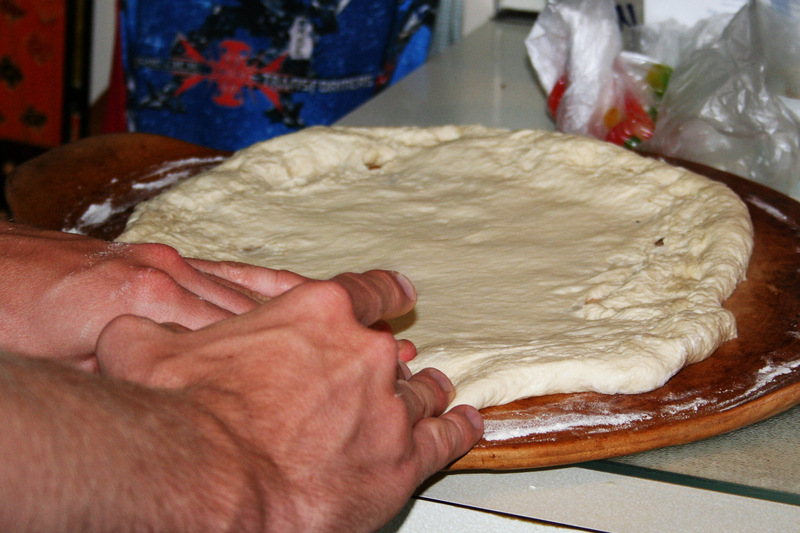 Knead dough and press onto a floured pizza stone, creating a pinched crust around the edges. Spoon tomato sauce onto dough. 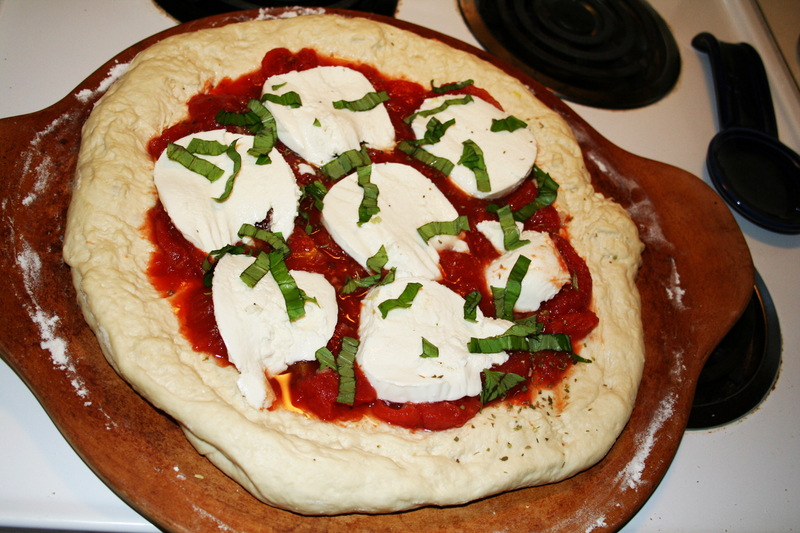 Thinly slice mozzarella and place it on top of the sauce. Tear basil leaves and layer onto pizza. Sprinkle with additional spices, if desired. Bake pizza 15-20 minutes until crust is golden-brown and cheese has melted.